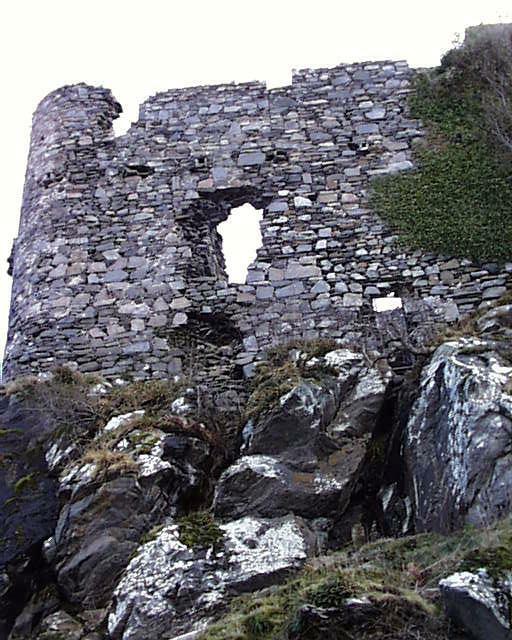 A 13th century castle with later keep tower and domestic additions including high tower at Cur Doirlinn, Moidart. 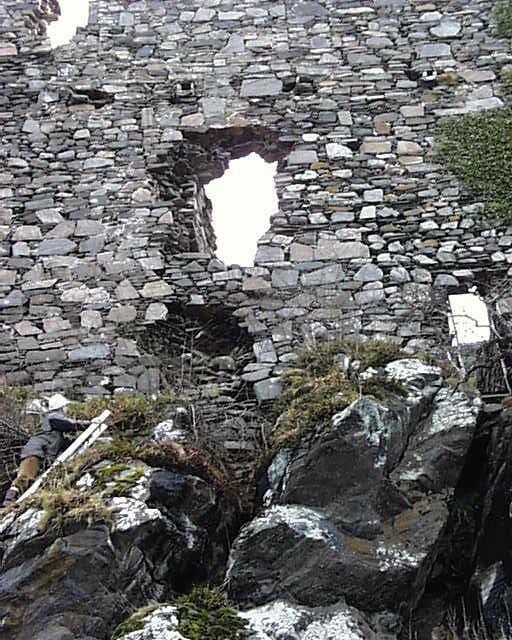 Castle Tioram (NR) (In ruins). 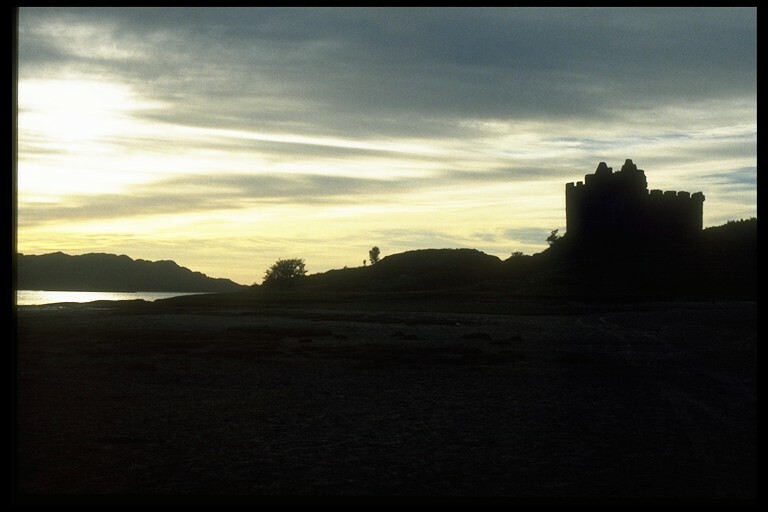 The castle on Eilean Tioram is first mentioned in a charter of 1372. 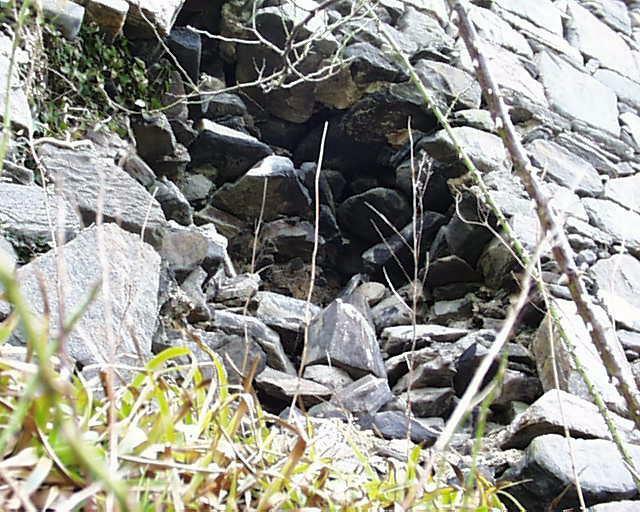 It was garrisoned by the government in the E 18th century and burned down in 1715. It consists of a massive pentagonal curtain wall. 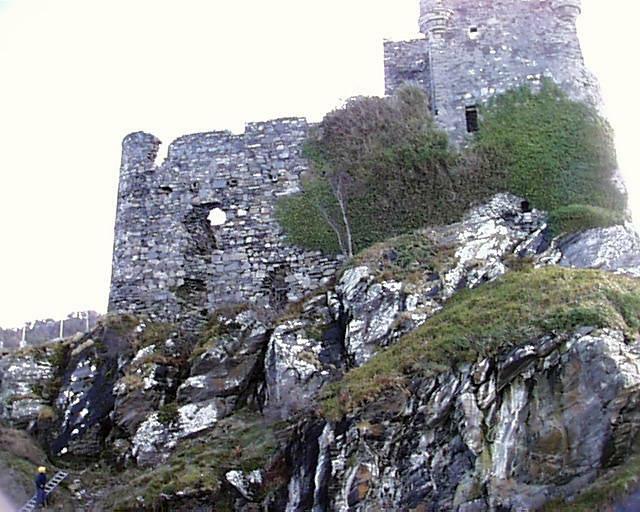 occupying the whole summit of the rock, within which is a range of stone buildings of which the earliest is the keep, 16th century; the South range was added about 1600 followed by later additions and modifications (Simpson 1954). 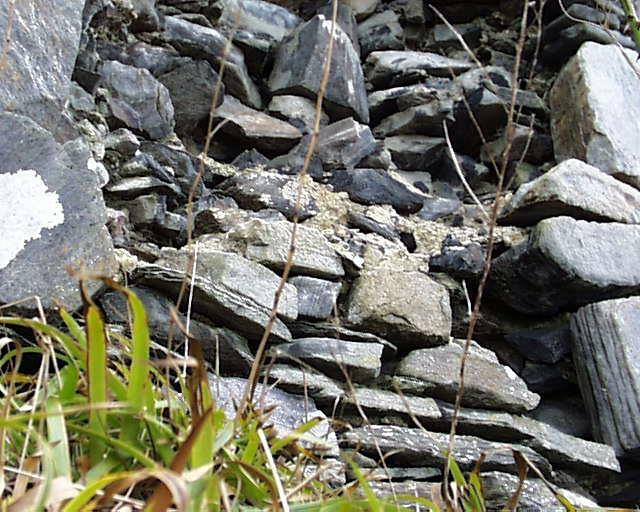 Before 1928 the remains of a 5th c bronze hanging-bowl were recovered from a kitchen-midden at Tioram. It is 6 1/2" in diameter and spun from a single piece of bronze. Now in the West Highland Museum (Kilbride-Jones 1937). W D Simpson 1954 <1>; M E M Donaldson 1923 <2>; H E Kilbride-Jones 1937 <3>. Information from R B K Stevenson, Keeper, NMAS. 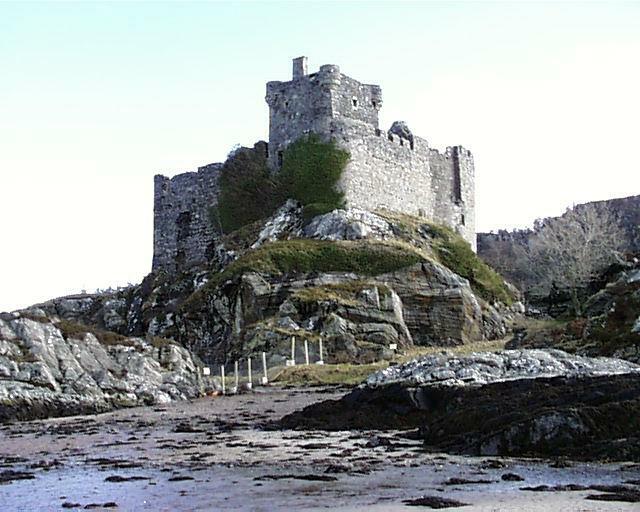 "Castle Tyrrim is an old ruinous Building belonging to the Clanronald family, it stands on a Rocky Peninsula, that joins Moydart by a narrow neck of Sand. If this Castle was repaired it might accommodate a party of 50 men, the repairs would cost at least 800? ; the Walls of the Building being quite insufficient, from the burning and Tryings of the Weather". LOC Local Plan, Feb. 1991: P55/5.2.26. Visitor Facilities. The Council will consider provision of improved parking, interpretation and walks at this site. See Reports 849-861. Report Library. (Reports 4 & 5 missing). 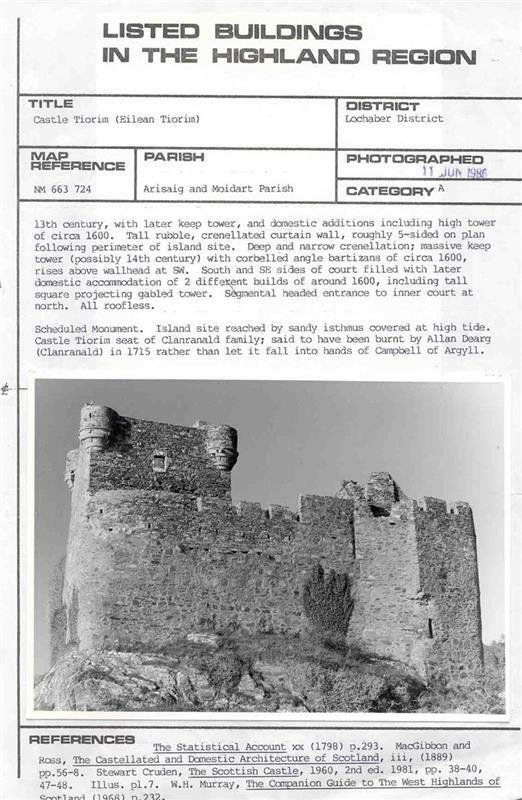 <1> Simpson, W D, 1954, 'Castle Tioram, Moidart, Inverness-shire, and Mingary Castle, Ardnamurchan, Argyllshire', Trans Glasgow Archaeol Soc Vol. 13 1954, p.70-90, 70-9; plan, illust. (Text/Publication/Article). SHG417. <2> Donaldson, M E M, 1923, Wanderings in the Western Highlands and Islands, 35; plan (Text/Publication/Volume). SHG2132. <3> Kilbride-Jones, H E, 1937, 'A bronze hanging bowl from Castle Tioram, Moidart: and a suggested absolute chronology for British hanging bowls', Proc Soc Antiq Scot, Vol 71 (1936-37), pp 206-47, p 207-9; illust. (Text/Publication/Article). SHG29. <4> Dunbar, J G, 1966, The historic architecture of Scotland, 29; illust. (Text/Publication/Volume). SHG2147. <5> MacGibbon, D and Ross, T, 1887-92, The castellated and domestic architecture of Scotland from the twelfth to the eighteenth centuries, Vol. 3 (Text/Publication/Volume). SHG2442. <6> Country Life, Country Life July 20th 1945, July 20th 1945 (Text/Publication/Article). SHG3570. 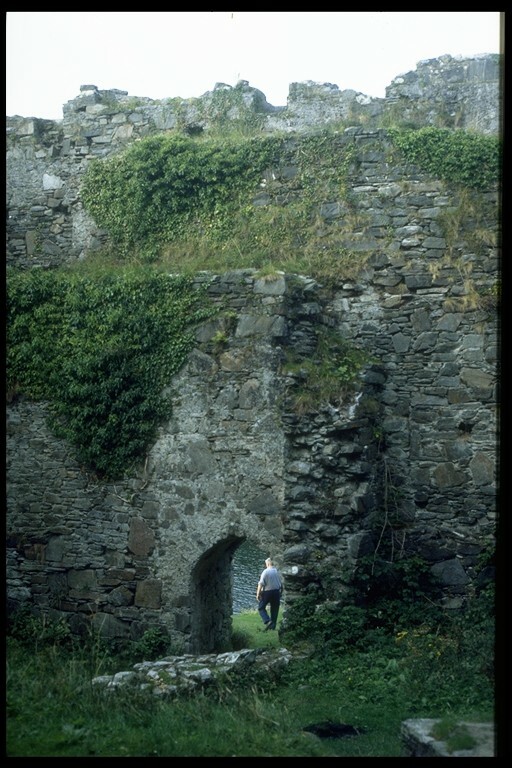 <7> Rowland, T, 1997, Lair of the Macdonalds: a romantic Scottish castle with a colourful past is in need of a new owner to rescue it [Castle Tioram, newscutting] (Text/Publication/Article/Newspaper Article). SHG3056. 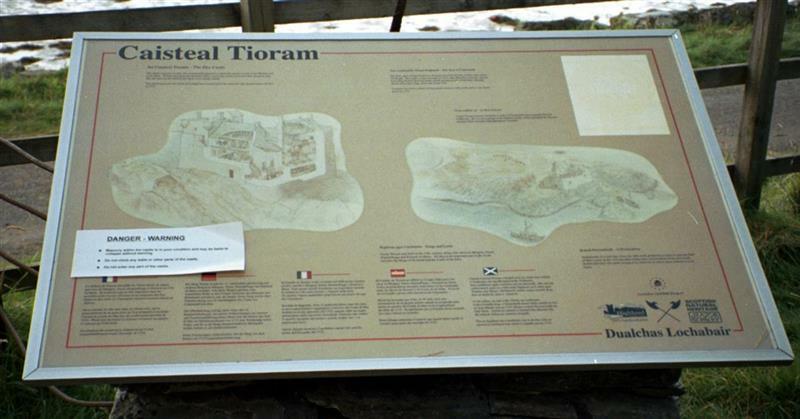 <8> Castle Tioram (Image/Photograph(s)). SHG5669. 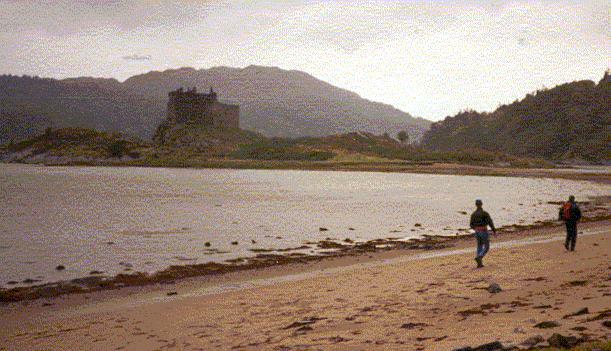 <9> Castle Tioram (Image/Photograph(s)). SHG5664. 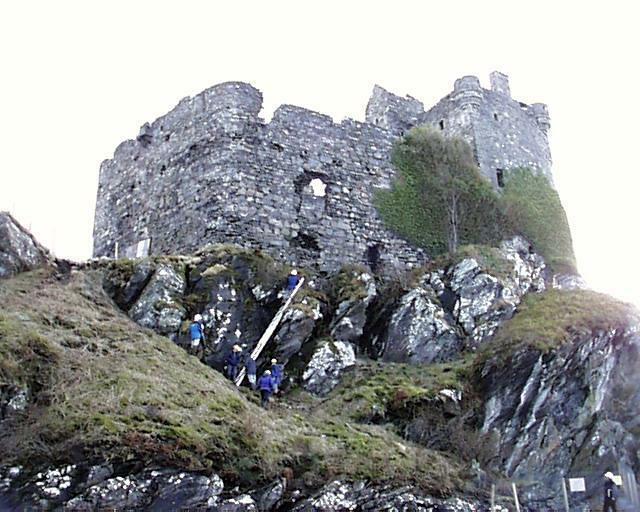 <10> Castle Tioram (Image/Photograph(s)). SHG5670. 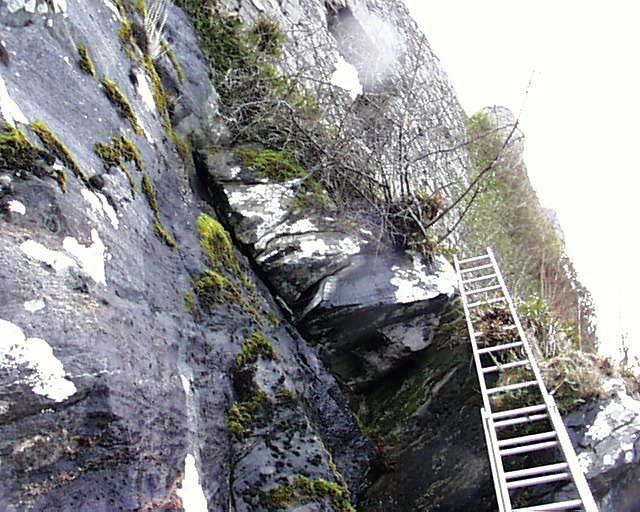 <11> Salem, S, 2013, Photographs - The Torr, Ardnamurchan (Image/Photograph(s)). SHG25894. <1> Text/Publication/Article: Simpson, W D. 1954. 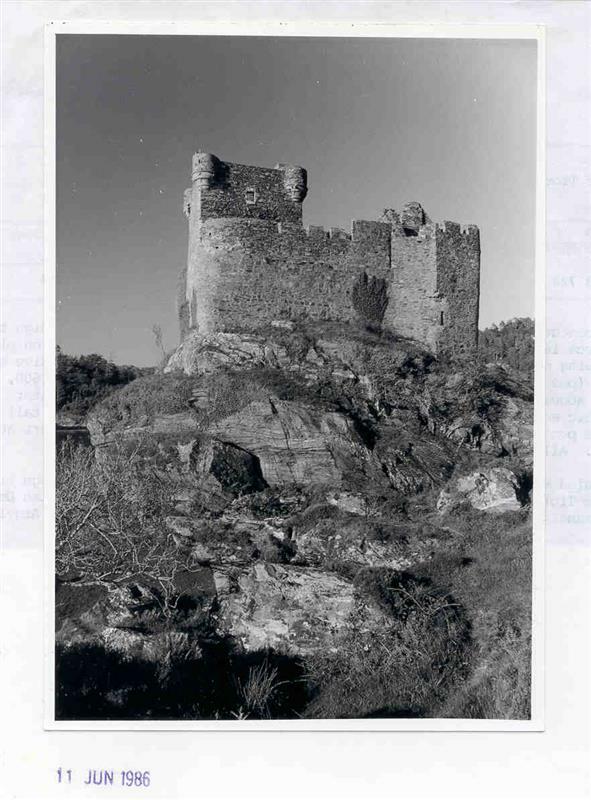 'Castle Tioram, Moidart, Inverness-shire, and Mingary Castle, Ardnamurchan, Argyllshire', Trans Glasgow Archaeol Soc Vol. 13 1954, p.70-90. Trans Glasgow Archaeol Soc. 70-90. 70-9; plan, illust..
<2> Text/Publication/Volume: Donaldson, M E M. 1923. Wanderings in the Western Highlands and Islands. 2nd, rev.. 35; plan. <3> Text/Publication/Article: Kilbride-Jones, H E. 1937. 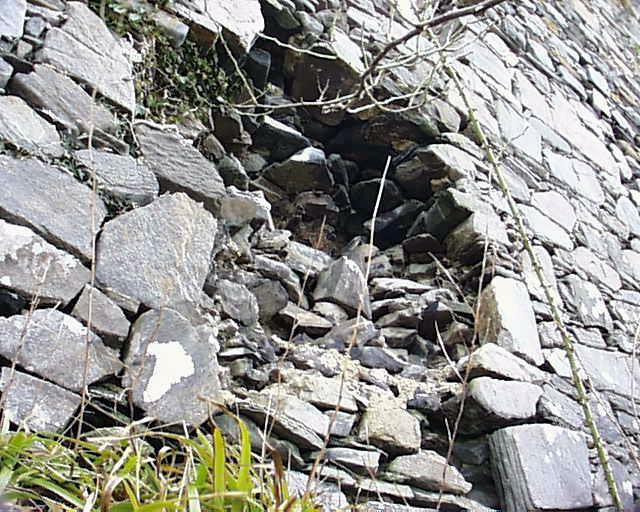 'A bronze hanging bowl from Castle Tioram, Moidart: and a suggested absolute chronology for British hanging bowls', Proc Soc Antiq Scot, Vol 71 (1936-37), pp 206-47. p 207-9; illust..
<4> Text/Publication/Volume: Dunbar, J G. 1966. The historic architecture of Scotland. 29; illust..
<5> Text/Publication/Volume: MacGibbon, D and Ross, T. 1887-92. 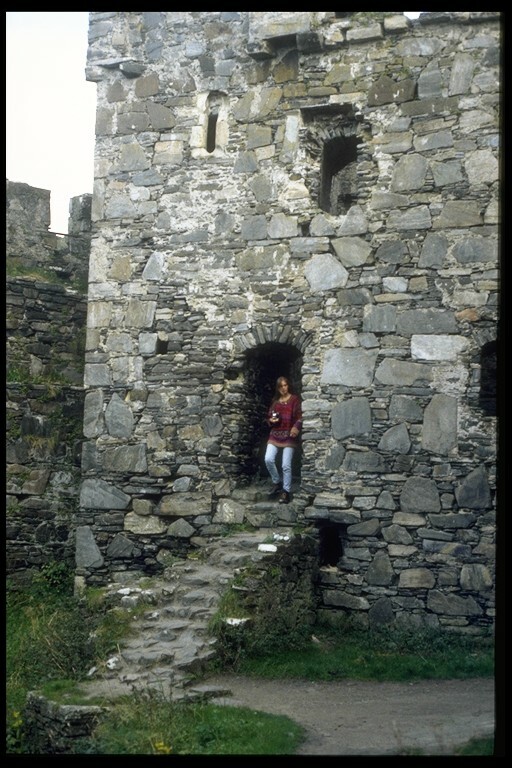 The castellated and domestic architecture of Scotland from the twelfth to the eighteenth centuries. Hardback. Vol. 3. <6> Text/Publication/Article: Country Life. Country Life July 20th 1945. July 20th 1945. <7> Text/Publication/Article/Newspaper Article: Rowland, T. 1997. 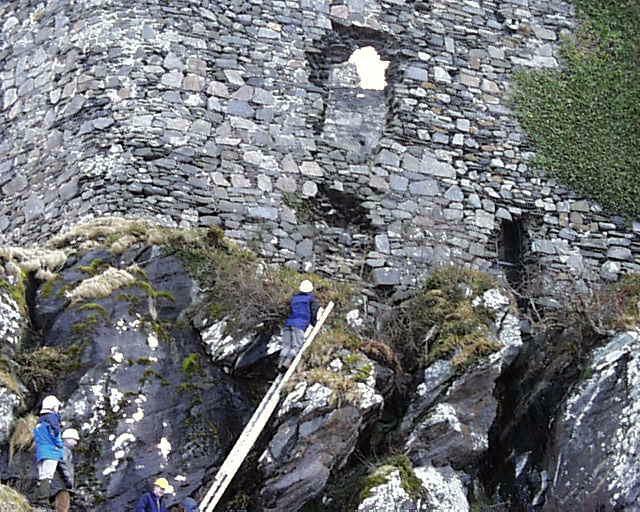 Lair of the Macdonalds: a romantic Scottish castle with a colourful past is in need of a new owner to rescue it [Castle Tioram, newscutting]. The Daily Telegraph. <8> Image/Photograph(s): Castle Tioram. Unknown. .
<9> Image/Photograph(s): Castle Tioram. Unknown. .
<10> Image/Photograph(s): Castle Tioram. Unknown. .
<11> Image/Photograph(s): Salem, S. 2013. Photographs - The Torr, Ardnamurchan. Colour. Digital.